• Wixstars Casino Review - A Good No-Frills Option? Wixstars Casino came into being in 2016, so they have had a few years to gain a stable footing in the online gaming industry. 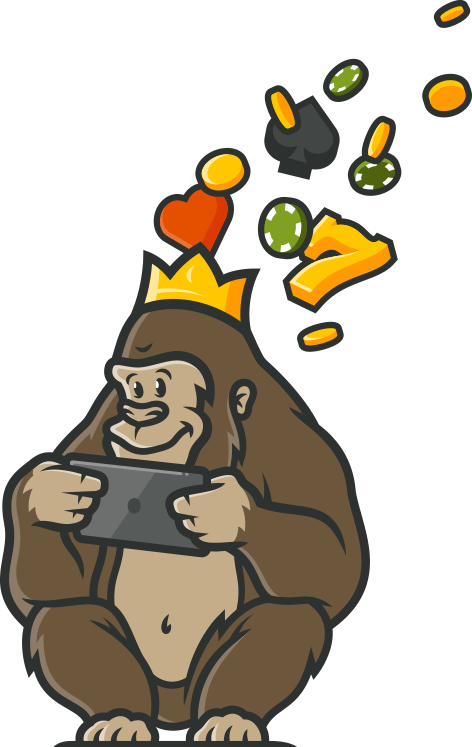 The Casino Gorilla wasn’t wildly impressed by the bland appearance of the site design, which doesn’t seem to have much of an identifiable theme and is simply decorated by various characters from slot games. However, the Casino Gorilla is not one to judge a book by its cover, and so he opened those pages and did some serious reading. Is that bonus as good as it sounds? Are there enough quality games available? Are there security risks at Wixstars? Read on to find the answers from our expert reviewer. The welcome bonus at Wixstars is split over three deposits, although the emphasis is more on free spins than on cash rewards. Any new players who make an initial deposit of at least £20 will receive a 100% matching bonus which can go as high as £300. Along with this bonus, they also get a package of 50 free spins. 40 more free spins are up for grabs on second and third deposits of £20 or more. In order to withdraw the original bonus funds the amount of your bonus must be wagered 35 times, which is perfectly fair based on industry standards. There is a cap of £100 placed on the total amount which can be won from free spins. There is a total of 100 free spins to be claimed as part of the Wixstars Casino opening bonus. These are split over the first three deposits and can be used on specified NetEnt games. The spins will expire 24 hours after they are claimed so make sure to take advantage of them before they disappear. Any winnings made using those free spins must be wagered 50 times before they can be withdrawn, making them trickier to profit from than the main bonus funds. There is no need to enter a bonus code in order to claim either the deposit bonus or the accompanying free spins. These will automatically be added to your account once you make a qualifying deposit, which in this case means a deposit of at least £20. Check the terms of any other bonus offers to see whether a bonus code will be required. In total there are 28 live dealer casino games available to play at Wixstars Casino. That is a pretty respectable number, but the Casino Gorilla was a little bit disappointed by the lack of game variety on display. 25 of the games are variations of roulette or blackjack, with the other three consisting of two baccarat games and a Dream Catcher wheel of fortune game. He may not be much of a bluffer but the Casino Gorilla enjoys a game of poker against the house, so was a little disappointed not to see any poker options in this live casino. Wixstars Casino do not require you to download anything in order to play on the mobile version of their casino. Simply log onto the casino as you normally would and start playing from your phone or tablet. If you prefer, you can simply scan the QR code to get playing immediately. As with all modern online casino games, these ones are perfectly adapted to be played on small screen devices, so mobile players won’t lose out on the exciting casino action. Wixstars Casino holds licenses from not one but two of the best regulators in the business, in the shape of the Malta Gaming Authority and the UK Gambling Commission. These regulators enforce the strictest of conditions to their license-holders, so you can play with the utmost of confidence at this site. The games are all regularly checked by independent bodies to make sure that they operate completely fairly. The support team at Wixstars Casino is available from the hours of 6am to 11pm GMT every day of the week. The easiest way to get in touch is via live chat, although you can choose email contact if you prefer. The staff is committed to putting customers first at Wixstars Casino, so you can expect to receive friendly and professional support from the team there. The only country listed as being excluded from joining this casino is the United States of America. 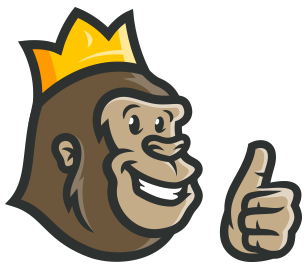 However, there are certain to be restrictions on residents of other countries, so the Casino Gorilla strongly recommends that if you are not sure you should get in contact with the customer support team to see if you will be able to register and to take advantage of bonus offers. Certainly, people living in the UK or most EU countries will be able to sign up without any problems but do check if you’re not sure so as to avoid any nasty surprises later on. Wixstars Casino is a decent mid-range casino option for gamers from the UK or Europe who may be looking for a nice no-frills gaming option. In truth there is very little to differentiate Wixstars from dozens of similar casinos, with a familiar selection of games. It is certainly a very safe place to play, and the welcome bonus is fair to players, so it’s not a bad option, just not a particularly exciting one.